Earlier this year, I helped to plan and host an event: Health at Every Size®: LIVE! A morning of joyful movement and interactive presentations. The goals of the event were to spread awareness of the HAES approach and to raise money for the Association for Size Diversity and Health (ASDAH). The event planning was demanding, but at the same time, it was a tremendously rewarding experience. In this step-by-step guide, I share my personal experiences in planning a body positive event. I hope that readers can benefit from my lessons learned and perhaps be inspired to host their own events. Having a great team is the key to hosting a great event. Recruiting a diverse team with a variety of experiences and perspectives is essential. Ideally, the team will include people of different sizes, abilities, ages, races/ethnicities, professional backgrounds, gender identities, socio-economic status, and sexual orientations. I discovered many of our team members online: Facebook, MeetUp.com and the HAES Community website. You know: the who, what, when, where, why and how. Who is your target audience? Our target audience was pretty broad: anyone interested in learning about HAES. What activities will you offer to engage this group? We had guest speakers, movement breaks, information tables, tasty snacks and raffle prizes. Where will you hold the event? Consider location, space requirements, equipment needs, and accommodations for all sizes and abilities. We rented a room at a centrally located park. It had space to comfortably seat 50 people, plus room for movement breaks and the information tables. Why are you hosting this event? We wanted to spread awareness of the HAES approach and raise money for ASDAH. How are you going to pull it off? Consider budget and funding sources. We used YouCaring.com to raise donations for ASDAH. I also created a WordPress website as a hub to share event information and updates. Word of mouth – Tell your friends, family, clients, and colleagues. And your friends’ families, clients’ colleagues, and any other network variation you can devise. Marketing success relies on having a diverse team who can tap into different populations. Facebook – Ah, the power of social media. Facebook events are easy to create and share with others. We also created event flyers, posted on Instagram, recorded two local news segments, and developed a press release for various news outlets. Even if these marketing tactics didn’t increase participation, we felt good knowing we were spreading awareness about the HAES concepts. The day of the event goes by quickly. You’ve already done all the hard work, so now it’s time to relax. Remember to take a deep, mindful breath, and enjoy the ride. It was a drizzly Saturday in May. What had started as an idea to host an all-bodies yoga class had morphed into a half-day event. I was glad we decided to host it indoors. I packed my car the night before with supplies – a Yay! Scale™ for our arts and crafts table, a stack of research articles for our research table, and an entire suitcase full of books for our book display table. I arrived onsite and we started setting up. Emily brought signs with body-positive quotes to hang all over the room. Meg single-handedly prepared snacks for the entire group and printed posters for our talk. The student volunteers were each in charge of their own information table. It was fun to finally meet the nutrition students I had mentored for the past two months over the phone and online. Even more thrilling was getting to meet Connie Sobczak, a leader in the HAES movement who I greatly admire. Our guests started arriving around 10:00 am. They mingled and browsed the information tables. We got started around 10:30 am – a half-hour past schedule. Whoops! Setting up took longer than expected. We kicked things off with an introduction, followed by an energizing tai chi warm up. Meg and I challenged the myths perpetuated by the current weight-based paradigm in our talk, Big, Fat Lies. I was encouraged by audience members who audibly expressed their encouragement—they got it; this was their lived experience. Next, everyone joined in a lively Zumba® break. The karaoke party speaker Meg purchased worked great—much better than I had anticipated. The light show feature was a nice touch, too. The walls danced with color as we moved to the beat. We took the next ten minutes to hear personal stories from our guest speakers. 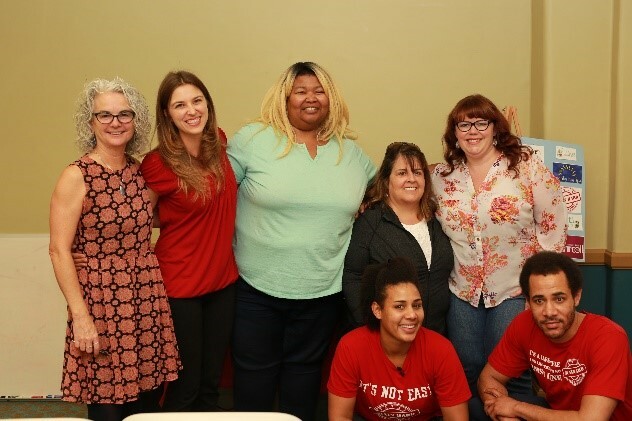 They shared their real, raw, personal journeys towards body acceptance and self-love. It was incredibly moving. Part two of our talk was titled Health at Every Size: Putting the Approach Into Practice. Meg and I encouraged the audience to redefine health and to practice compassionate self-care. We shared our ideas and received lots of input from the audience, too. Connie Sobczak focused her talk on Cultivating Self-Love and Declaring Your Own Authentic Beauty, two competencies of the Be Body Positive Model. I was captivated by her beautiful storytelling. At one point, I looked over and noticed another member of the audience had tears in her eyes. Everyone was deeply moved. At the end of the day, we had raised money for ASDAH, sold over a dozen books, and, hopefully, planted a few ideas that will grow into meaningful change. The entire event was captured by a videographer. To learn more about Health at Every Size®: LIVE! and watch the event video, visit https://haeslive.com. 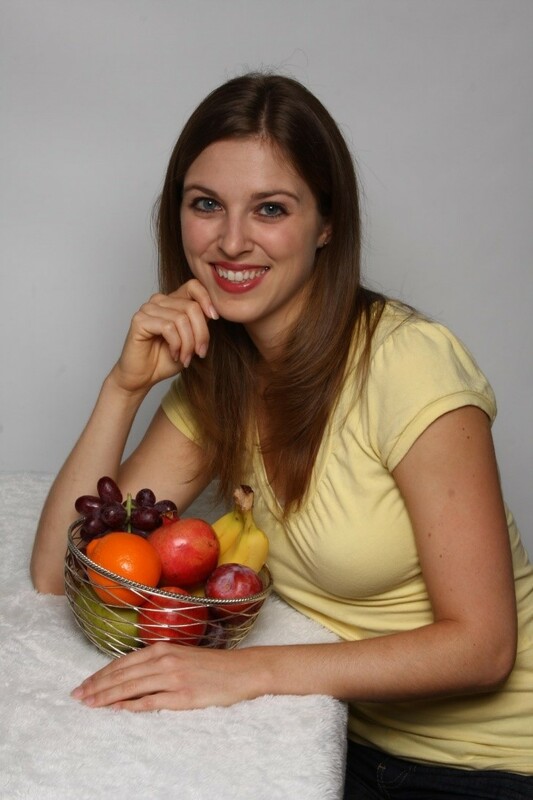 Nicole Geurin, MPH, RD is a registered dietitian and certified intuitive eating counselor with a master’s degree in public health nutrition. She works as a corporate nutrition consultant in Sacramento, California. She is also the author of a new e-book, titled 5-Minute Meals: It’s Not Fast Food, It’s Real Food…Fast! Visit Nicole’s website and nutrition blog at https://nicolegeurin.com. Contact Nicole at ngeurin@yahoo.com.